The Gainesville Mirror is a striking piece. 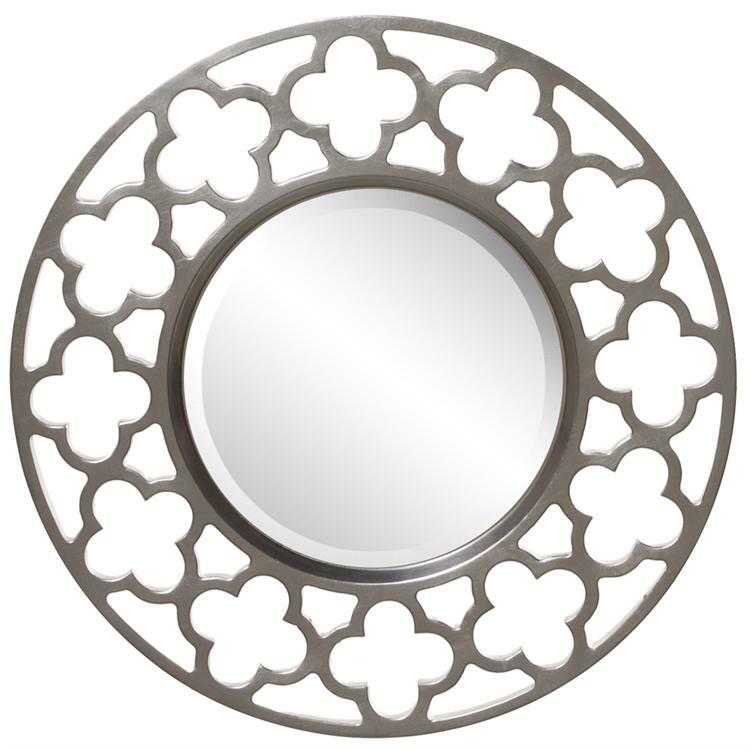 It features a round frame fashioned from open work clover-like shapes set in a solid trim. It is then finished in a brushed nickel. The mirror is beveled adding to the style and beauty of the piece. It is a perfect focal point for any design. Also available in a rectangular shape. Customizable for larger orders.